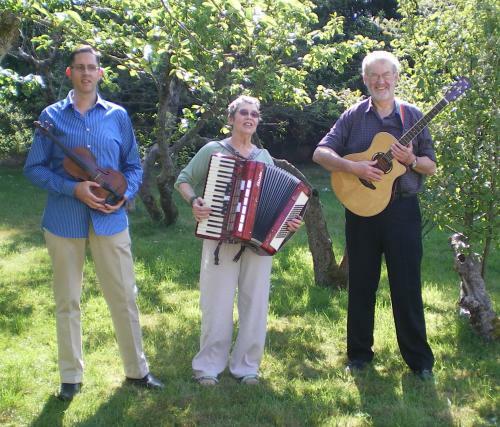 Their music is mostly from the Celtic Irish and Scottish traditions and their repertoire includes several of the Scottish favourites for events like Burns Suppers. They can also adapt their style to American music for a hoedown night. There are several references that can be given for this very versatile band. Further to our conversation this morning, I would just like to put in writing our sincere thanks for supplying us with such an excellent band last Friday.The evening was a fantastic success and a good part of that was due to the wonderful music, and such a great caller - he really managed to get those who would not normally participate up for a dance!! I would be most grateful if you could pass on our thanks and appreciation to the band members; we would certainly use them again! !